Open, calm waters can be relaxing and therapeutic. Rapids can take one to exhilarating peaks. Water sports, whether fishing, waterskiing, or anything in between, can be a great way to spend the day. 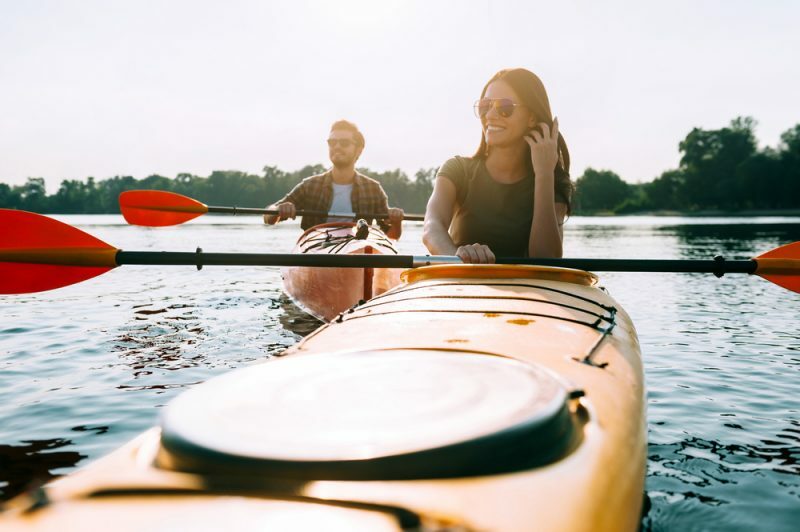 “Recreational boating” is a broad phrase that covers everything from paddle boats to cabin cruisers as well as both sport and leisurely activities. When thinking about enjoying the water, it’s essential for safety and budget planning to be informed and choose the boat and activities that are right for you. When hearing the phrase “recreational boating,” what tends to come to mind? Probably the types of scenarios seen in the movies. Flashy speedboats, fancy yachts, and wild cruises out on the open ocean. In short, things most people will find it difficult, or impossible, to afford. While these situations definitely happen, they aren’t necessarily the norm. It’s completely possible to go on a boating adventure without breaking the bank. One cheaper option is an inflatable boat. Whitewater rafting? Totally possible, and possible to do without huge fees. Inflatable boats are also good options for fishing; just make sure to follow the law and have a proper license. Avoid using these in the ocean, as there is a real danger of being swept out. Hook one of these up with a trolling motor, though, and you’ll be able to traverse smaller bodies of water at high speeds. If you want to head into more open waters, or if you would simply prefer something more solid, there are still lots of affordable options. If you’re not planning to go out on the water very often, then renting a boat can be a great choice. Many marinas have flexible price ranges and hourly limits allowing for a personally-tailored experience. Of course, buying a used boat is another more affordable option. Middle-class boat owners compare the process of buying a used boat to that of buying an inexpensive car. Of course, expenses aren’t the only concern. It won’t matter what kind of boat you have if you aren’t following proper safety procedures. As a (hopefully obvious) general rule, life preservers should be on hand regardless of activity. Earlier, we compared affordable cars to affordable boats. It’s worth it to compare the operation of a boat to that of a car as well. Operator inattention is a leading cause of accidents and fatalities with boating. This is especially true when alcohol is involved. In fact, alcohol is responsible for approximately fifteen percent of deaths in boating accidents. Another good step to take is to have your boat regularly inspected before use. There is actually no charge for a vessel check, and there are no consequences if your vessel doesn’t pass. This, combined with proper education from boating safety courses, will go a long way toward ensuring your boating trips stay fun with minimal trouble. A final free step you can take is to file a float plan (detailed information about your location for potential rescuers). This way, even if there is an emergency, you have a better chance of being located quickly. As with any recreational activity, there is a community surrounding boating that you may consider becoming part of. Joining any kind of boating club can have great benefits. These can include helping you find the types of activities you’ll enjoy the most, as many clubs focus on specific things like recreational sailing or more competitive water sports. These groups can also be a great opportunity for a cheaper experience, as many clubs offer boat usage for reasonable rates for their members, and some even offer professional sailing instruction. Don’t think you have to be rich or an expert to enjoy recreational boating. There are plenty of options and safety guidelines to ensure you have a good time on the water.